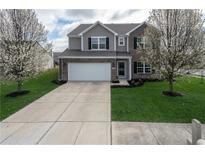 Below you can view all the homes for sale in the Canyon Ridge subdivision located in Fishers Indiana. Listings in Canyon Ridge are updated daily from data we receive from the Indianapolis multiple listing service. To learn more about any of these homes or to receive custom notifications when a new property is listed for sale in Canyon Ridge, give us a call at 317 979 0009. From upgraded memory foam carpet pad, to subway tile backsplash in kitchen, to granite counters with vessel sinks in all baths, whole home attic fan, high efficiency geothermal water heater, whole house humidifier, porcelain tile in entry/living room/kitchen, Custom pantry with cabinets, countertops and backsplash, enlarged patio with fire pit, custom closets in BOTH master bedroom closets, whole house aprilaire filter, wired from home audio and so much more. 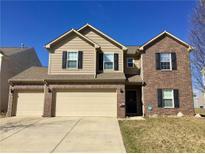 MLS#21631670. Keller Williams Indy Metro NE. Large rear yard is fully privacy fenced & great for entertaining! Hurry, it won't last! MLS#21627291. Highgarden Real Estate. Cathedral ceiling owner's suite has large double vanity sink and walk-in closet! Hurry, it won't last! MLS#21613377. Highgarden Real Estate. Easy access to Hamilton Town Center, schools, interstate & Saxony. MLS#21628234. F.C. Tucker Company. Beautiful and ready to move it. Schedule your showing today! MLS#21616708. Keller Williams Zionsville. New roof & water Heater. Reverse Osmosis System. Community playground. MLS#21614062. F.C. Tucker Company.